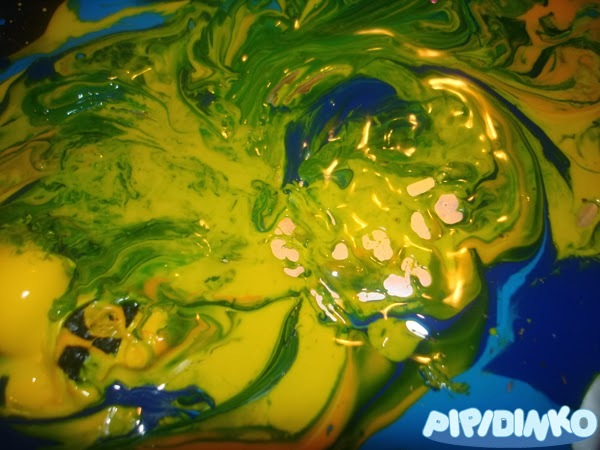 My Life with Pipidinko: Countdown to Christmas Activities. Day 19. 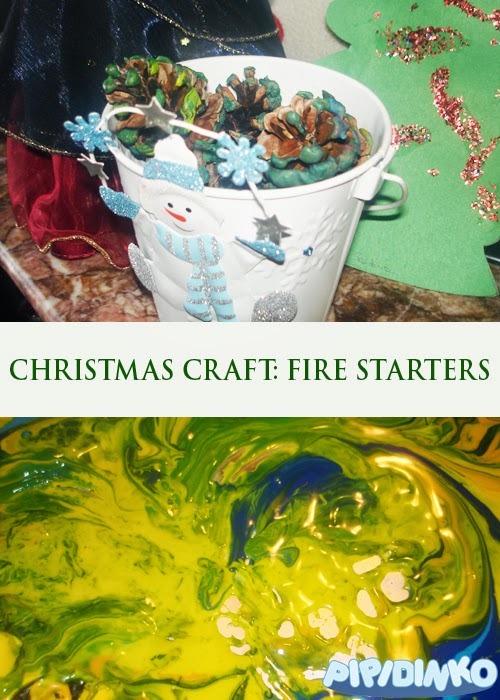 Fire Starters Craft. Countdown to Christmas Activities. Day 19. Fire Starters Craft. 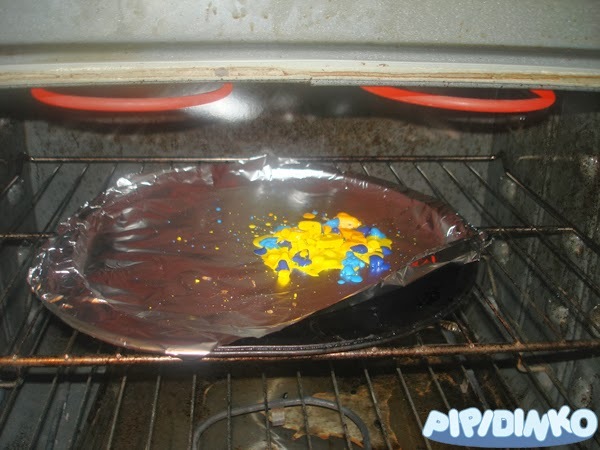 Pinterest is an ideas gold mine. Here is another craft I found there: Fire starters. We don't really plan to start fire with them, actually, but they look beautiful near the Christmas tree. 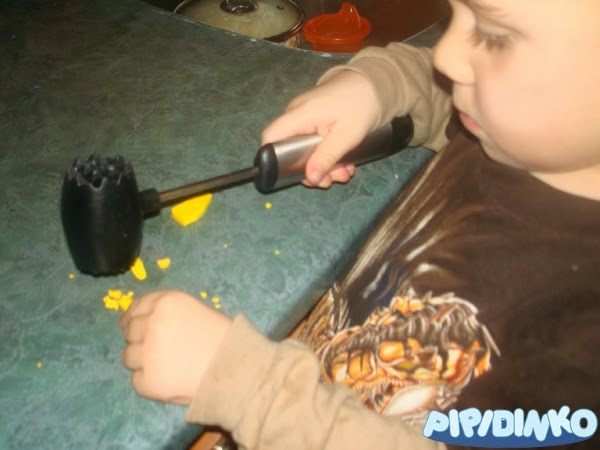 I let Santino pick the crayons and crash them with the meat tenderizer. He is pretty good with that and didn't put his fingers under the hammer. Maybe this part is not applicable to all kids, but mine is ready. 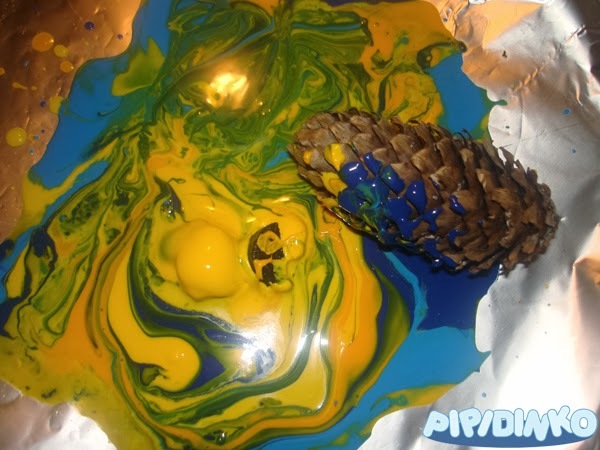 I melted the crayons in the oven, and we then admired the beautiful swirls the colors created. 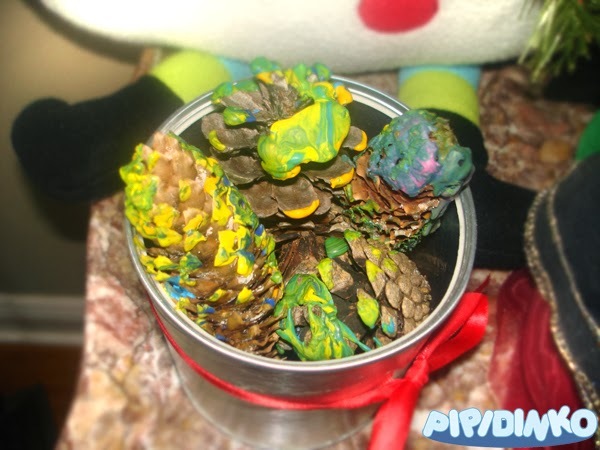 I dipped the pine cones that we collected earlier this year and stored them "just in case", and we arranged them in a tin jar and a pale. They look beautiful and decorative.